No lawyer has any right to appear in a particular case and debarring a lawyer from one case does not infringe his right to practise, the Court said. Allahabad High Court has held that Section 36(3) and (4) of the Industrial Disputes Act, which disentitles a party to be represented by an Advocate unless with the consent of opposite parties and leave of Labour court, is not violative of Section 29/30 of the Advocates Act read with Article 19(1)(g) of the Constitution of India. Justice Pankaj Mithal held that the restrictions as placed by Section 36(4) of the Industrial Disputes Act does not completely exclude appearance of the advocates before the Tribunal. Advocate V.K. Gupta’s appearance for the management before the Labour Court was objected by the Workers Union. The Labour court allowed the application and barred the lawyer from representing the management in the Court observing that he is not an officer of the Army Base Workshop and at the same time had neither the consent of the worker or the Worker's Union nor the leave of the Court to represent the management. According to the petitioner, this order by Labour Court violates the petitioner's statutory and fundamental right contained in Sections 29 and 30 of the Advocates Act, 1961 and Article 19 (1) (g) of the Constitution of India respectively. According to him, Section 36(4) of the I-D Act has to be declared ultra vires the Advocates Act and the Constitution. Advocates to be the only recognised class of persons entitled to practice law. – Subject to the provisions of this Act and any rules made there under, there shall, as from the appointed day, be only one class of persons entitled to practise the profession of law, namely, advocates. Before any other authority or person before whom such advocate is by or under any law for the time being in force entitled to practice. 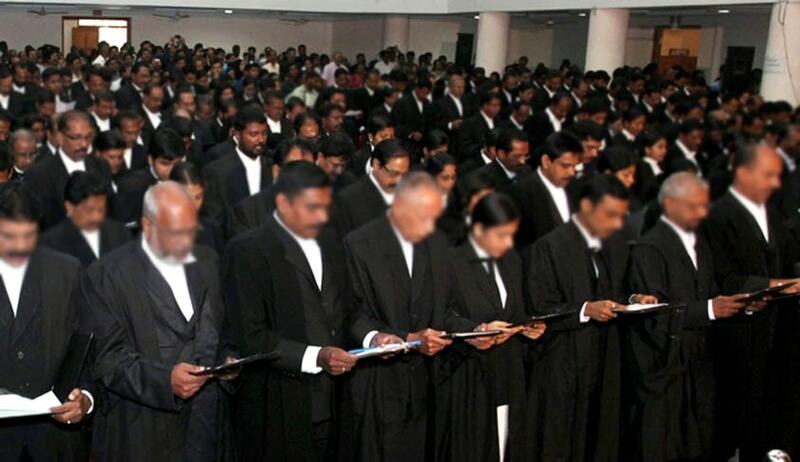 Rejecting the contention of the petitioner, the Court said that Section 36 (3) & (4) of the Act which says that an Advocate shall represent the Management before the Tribunal only with the consent of the workmen/union and with the leave of the Court, does not absolutely bar the lawyers from appearing before the Tribunal. The Court added that these provisions only permits representation by legal practitioners before the Tribunal subject to conditions and the imposition of the said conditions only amounts to putting restrictions on the general power of the advocates to practice before any court or authority or person. The restrictions so imposed does not impinge with the right of the advocates to practice law as guaranteed by Article 19(1) (g) of the Constitution of India, the Court said. The right to practice is not an absolute right but only restricted in nature and limitations on such a right can always be placed either by prescribing dress for legal practitioners or in some other manner. A person entitle to practise law can practise it in any court including Supreme Court, High Court, Tribunals etc. but such right of practise does not necessarily mean that he is entitle to appear in a particular case. In the event he is not permitted to appear in one case it does not mean that any of his fundamental or statutory right gets violated, the Court said. The Court said that right of the petitioner is not infringed or affected by the impugned order which only debars him from appearing in a particular case that two for non-fulfilment of the statutory conditions. It does not prohibit the petitioner from practicing Law anywhere not even before the Tribunal. Even the right given to the Lawyers under Sections 30/33 of the Advocate's Act to practise in all Courts including Tribunals is not affected by the impugned order inasmuch as it does not stop him in appearing before any Court or the Tribunal. No lawyer has any right to appear in a particular case and debarring a lawyer from one case does not infringe his right to practise, the Court said.